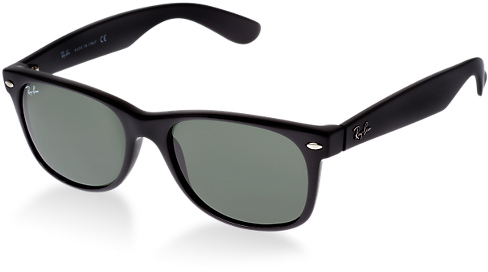 The new Ray-Ban Wayfarer sunglasses are a slightly smaller interpretation on the most famous style in sunwear. The Ray-Ban signature logo is still displayed on sculpted temples, but the new Wayfarer flaunts a softer eye shape than the original and offers both classic and fashion bright color options. This updated version comes with a stylish black frame and green lenses, providing ultimate clarity and enhanced vision.